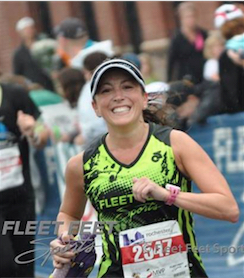 The Fleet Feet Sports Endurance Team is an ambassador program through Fleet Feet Sports in Rochester and Buffalo. There is no other group like this in the country. They are people who push their boundaries by participating in events that are outside the norm. Events like trail running, ultras, triathlon, duathlon, mountain and road biking, paddling, skiing and skating. All of these events are out of the ordinary making the Endurance Team members unique, and sought after for their knowledge. Jim enjoys helping and seeing others accomplish goals that were more than they ever thought they could, and can never leave the house without a strong passion for whatever he is doing. The most vivid memories Courtney has of being part of the Endurance Team are being apart of the group that set the course for 2014 Sehgahunda, and finishing Sehgahunda in 2011.Courtney always has lip-gloss with her while she is training. 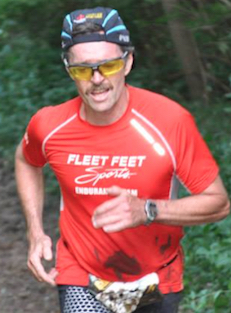 His most vivid memory while being on the Endurance Team is Competing- This year’s Dirt Cheap Stage race. 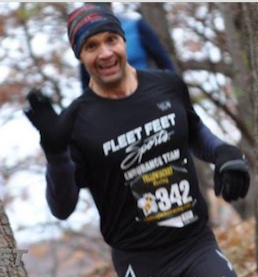 After running the Mendon 50k Trail Race on November 1st, (one week after my 50th Birthday), I competed in the DCSR November 8th & 9th. I finished the Stage race in second place in my age group byone second, after all three races. It was a great couple of weekends racing to celebrate my new age group. 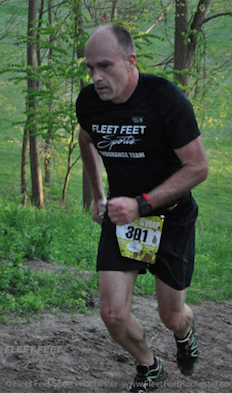 Jim Arrow has been on the Endurance Team since 2013 and loves to train anywhere there are hills to climb. Jim grew up in Whitney Point, NY where he played football, baseball, swimming and track. He has been running seriously for the last 6 years, with his favorite events being Sehgahunda and the Dirt Cheap Stage Races. Outside of running Jim likes to Scuba dive. His most vivid memory of being on the Endurance Team is I thought that I was done at mile 22 of a 50 mile event. That was until I saw my family and friends at the next checkpoint holding signs and cheering me on. It got me through the mental darkness that had come over me. Jon's hometown is Rochester, NY and favorite sports are lacrosse and running. He loves to run in a lot of the parks in the area, but his favorites are Durand and Letchworth. He likes Durand because there’s a good mix of hills and relatively runnable areas as well as some great scenery. Letchworth is fun because you get a great workout and the park is gorgeous. Sehgahunda is "easily" his favorite race. The trail is awesome, the scenery is gorgeous, and the volunteers and spectators make it a really special atmosphere. He started running in 2012 – Pumpkins in the Park was his first 5K, Flower City Half Marathon in Spring of 2013, Rochester Marathon in Fall of 2013, Sehgahunda Spring of 2014 and he's been trying to find new ways to push myself ever since. He has been on the team since the spring of 2015. He's a bit of a data geek soheI always have to have his Garmin, currently the Fenix 3. 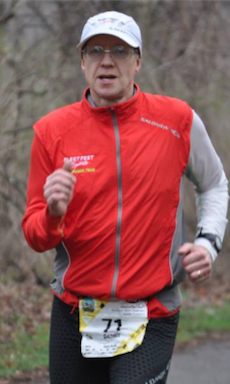 Jon's most vivid memory on the Endurance team is going out for a long run in Letchworth with several team members. Most of the run was warm and humid. When we were maybe two miles from finishing the sky opened up and we got absolutely poured on. 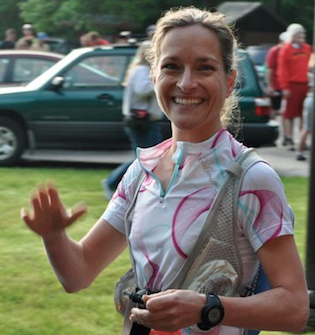 Emily's hometown is Webster, NY and her favorite sports are trail running, yoga, abd SUP. Her favorite places to train are at Webster park and Letchworth State Park. Dirt Cheap Stage Race is her favorite event to run, especially the queens stage and Sehgahunda is Emily's favorite event to work. 2015 was her first year but it was fun to work with the team to put on the event! Emily has been on the Endurance Team since 2015 and her most vivid memory is camping with the Endurance Team during Sehgahunda!